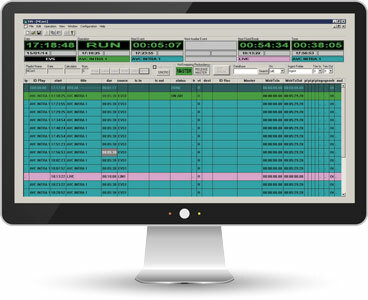 VSNMULTICOM, VSN’s Playout Automation Software, which has been in the market for over 20 years and has earned hundreds of references around the world, guarantees 24/7 seamless broadcast in single channel environments and big playout centers alike. The wide range of devices that it controls, as well as its capacity to integrate with many other hardware and software modules, make it a powerful and open system ready for every possible environment. 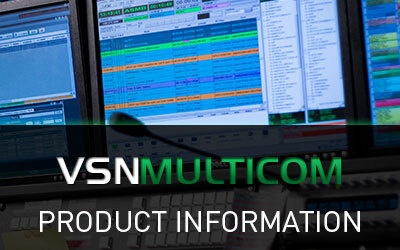 VSNMULTICOM is the core of VSN’s Playout Automation Software and continuity solution. With over 20 years of existence, it’s integrated with the majority of baseband devices, such as video routers and mixers. It controls any VDCP video server and most of CGs in the market. It offers many different redundancy options adapting to every client’s needs however demanding they might be. VSNCREA TV, web based broadcast scheduling software, is fully integrated with VSNMULTICOM. It covers all scheduling needs of the advertising, production and broadcasting departments. It allows the user to, among many other things, create weekly and daily program schedules, export the EPG, and track the number of times each content has been broadcasted. VSNMULTICOM and VSNCREA TV enable advanced content management workflows that greatly accelerate and simplify MCR operation. When loading a playout list all content that is not present in the video server is automatically requested to the MAM system. The playout software also checks which of the video server contents are not registered in the MAM system. The playout automation software VSNMULTICOM integrates via VDCP or native API with the majority of videoserver manufacturers in the market. In order to achieve the best possible performance, it integrates through native API with: DVS, Harmonic, Seachange, Harris, Avid, Grass Valley, among others. VSNMULTICOM fully automates workflows for sending and managing contents for webTV. It’s possible to select which contents can or can’t be broadcasted online and the system then takes care of stopping the encoder and launching a playlist of alternative contents. It also take care of eliminating commercial blocks when publishing the content and provides an EPG optimized for web publishing. Discover here all functionalities of VSNMULTICOM, the ultimate MCR Playout for TV Automation. 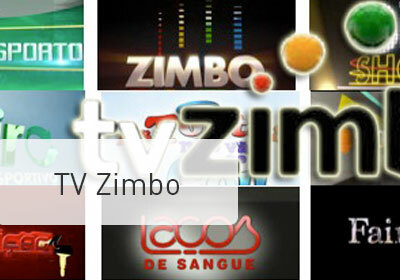 See this VSN's product in action in the TV Zimbo's case study. Conscious of the huge importance of MCR systems within the TV industry, this webinar presents the 5 hidden keys that will help you in your daily tasks, while you maximize the efficiency of your MCR solution.